Tonight’s RAW is set to be a pretty big show; Brock Lesnar will appear to build his match with Braun Strowman, Dean Ambrose explains his actions, and the fallout from the all-women PPV, Evolution! Starting with Evolution, it was a great show from top to bottom! Evolution felt an awful lot like an NXT TakeOver event, and I think it really benefited from that scaled-down approach. The matches got plenty of time and there wasn’t a single dud on the card, how often can we say that for main roster PPV’s? Match of the night, hands-down, must go to Charlotte Flair and Becky Lynch. However, that’s SmackDown drama and this is Monday Night RAW. Ronda Rousey retained her Women’s Championship over Nikki Bella in a really good match last night, and Nia Jax won a battle royal that means she’s next in line. This seems like an odd move because we just recently had Nia Vs. Ronda, and another heel turn for Jax would be terrible, but that seems like the route they’re taking. Beyond that, Trish and Lita defeated Mickie and Foxy, and The Riott Squad lost a tag team match against Sasha, Bayley, and Natalya. Those are the main focal points of last night’s show, as it pertain to tonight’s RAW. As for the dudes, tonight’s show will feature the highly-anticipated fallout from Dean Ambrose’s heel turn on last week’s RAW. It’s no secret that last week’s RAW was an emotional one, so Ambrose turning was a real hit to a raw nerve. The shocking change needs an explanation from the Lunatic Fringe, although I think we already know what he’s going to say. Still, this feud will blow the roof off of every arena for the next few months. And then there’s the Beast. Brock Lesnar returns to Monday Night RAW for the first time in a while, and it comes on the news that he will now be facing Braun Strowman one-on-one for the Universal Championship at Crown Jewel. I’m sure Lesnar and Strowman will come face-to-face tonight and throwdown, and it seems Braun has reverted back to being a big ole babyface. With how things have been going with Roman Reigns’ news, the Saudi Arabia debacle, and so many random face turns, we need some stability on the show and a babyface Braun Strowman at the helm could be the way to do it. That’s the preview for tonight’s show. 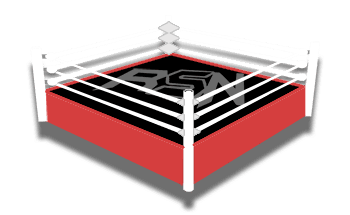 Let us know what you’re excited to see and remember to download the Ringside News app, follow us on Instagram, and enjoy the show!